Saturday brunch, for me the most coveted meal of the week and in London there are endless options for avocado on toast with poached eggs or something a little greasier if that is your thang. After becoming slightly bored with these same-y but seemingly must hang out brunch spots, Saturday brunch kind of lost its spark. Until Daisy Green was brought to my attention, a small chain with already 6 locations across London. After urgently checking the menu, I was counting down the days until Saturday! From just looking at the menu I was immediately struck by how Daisy Green took healthy brunch to the next level – this was more like a menu from LA, it even included activated fermented charcoal bread mmmmmmm. This place was burning a hole in my mind, I decided to check out the one most accessible to me in Little Venice, where I was imagining sitting out on the canal on a summers Saturday morning. The reality was slightly different, with a small amount of canal but more of the M4 flyover, urban is an understatement. 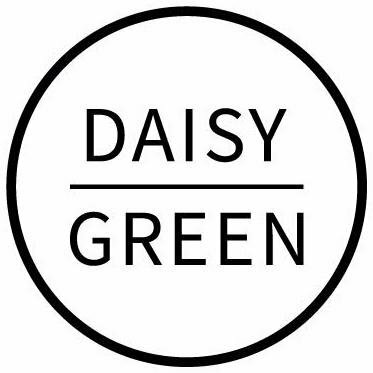 Daisy Green is Australian inspired and this really shines through as soon as you enter, a relaxed, fun and friendly vibe. Two paragraphs ago I said how I was bored of avocado on toast with poached eggs, however the Daisy Green version had me – served on activated fermented charcoal bread witch avocado, labne, lime and lemon dukkah. A good staple made more interesting, it was delicious with a multitude of flavour and virtuous at the same time, even the bread was good for you! I also tried the french toast served with greek yogurt, berries, griddled mango, shaved coconut, bee pollen and pure maple. Again I loved the mixture of flavours and goodness here, anything coconut always taste good in my opinion. 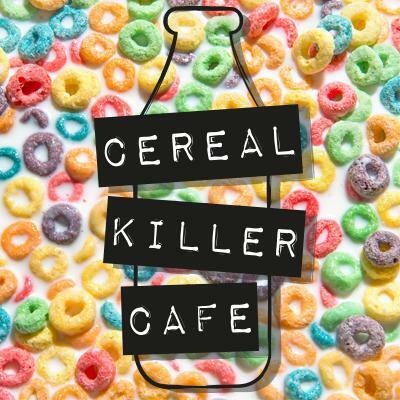 The Antithesis of Tanya’s Cafe – The Cereal Killer Cafe, a trip down memory lane, a ride down nostalgic boulevard. This cafe evokes childhood memories in every sense, the food, the decor, membrobilla and the playlist. You can eat your favourite cereal that you haven’t had in 20 years while watching an episode of Clarissa, listening to the likes of All Saints and the Spice Girls. The whole experience takes you right back to way back when – school mornings, old boyfriends, collecting and swapping toy obsessions. Do you remember the toys you found hidden in the depths of a cereal packet? The menu includes 120 different types of cereal, over 30 variations of milk as well as toast, pop tarts and cereal inspired cakes, such as the lucky charm cheesecake. You may be coming here on a wild goose chase, with your heart set on having a specific obscure cereal. Or you maybe more open to something new, a cereal cocktail? The owners Gary and Alan Keery have developed a range of different cereal mixtures including, ‘unicorn poop’ or ‘Orange you glad you didn’t order milk.’ I don’t want to ruin the surprise of what these actually contain – both are the perfect, crazy blend of a number of different cereals with toppings and the perfect flavour milk to make the whole bowl come together in perfect harmony. More than just a cafe, a homage to all thing cereals and your childhood!!! These guys are trend-setters a porridge cafe is opening next and I have rumours of a crisp cafe! I love London!! It is still a new year, is it still a new you? 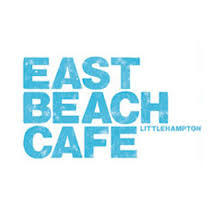 Although this is a typical new years post, this chic, healthy restaurant is for all year round. Located in the ME hotel in Chelsea, in its very own green house, with a strong plant food power ethos, a green house seems the natural home for Tanya’s. My favourite part of the decor is the large blackboard above the counter with a changing daily quote “I tried to be normal once, worst two minutes of my life.” Tanya’s menu is brimming with nutrients and literally no nasties, in other words no wheat, sugar and mostly dairy free! A small warning, with the knowledge that nothing is ‘bad’ for you, it can lead to a dangerous over consumption of food. Menu highlights include; raw pad thai, smashed avocado on onion bread and mushroom meat tacos, all fresher than fresh and full of flavour. The flavour may come from the unexpected, slices of fresh mango delightfully accompanied the taco. The onion bread is divine, we had to order more and with no guilt because it is good for you, it nourishes you! Tanya’s is the first place in Europe to serve superfood cocktails, mixing vodka with cold pressed juices and ingredients including lemon, beets, carrot, ginger and chia seeds. There is also a large variety of hot drinks all can be served with three different types of milk; almond, hazelnut and hempseed. Cow is not for now! My vice, matcha green tea latte with almond milk. It was only a year ago when the Good Life Eatery was the only place this side of the Atlantic to serve these! The LA way is catching on, healthy food has never been so popular in London. Dessert, something that you would not normally associate with healthy food, except at Tanya’s, healthy desserts are the order of the day. It is the strangest feeling when you genuinely don’t have to feel guilty when eating dessert. We tried a whole selection and my favourites were, the berry cheesecake, with a base made of milled seeds and nuts and the peanut butter cupcakes kill me! Weather it is a new years resolution or your way of life, go to Tanya’s to eat nutritious, healthy, tasty food. Simple. Eat to your health! Magical Marrakech. If you are looking for a traditional slice of Marrakesh in the middle of the sprawling medina Bo Zin is not for you. Situated on the outskirts of the city, you need to be driven there. This is most definitely a restaurant but a restaurant where the party atmosphere is just as important as the food. The resident DJ along with some live musicians will possibly make you want to eat and dance simultaneously. A little theatre while eating never hurt anyone. The menu is described as fusion, just fusion in general, with no actual cuisines mentioned. This was perfectly illustrated when the first thing I saw on the menu was Chinese fried chicken croissants. To start we attacked a range of sharing plates which included spring rolls, fried chicken croissants, tuna tartar and cheese and spinach briouates (traditional Moroccan pastries.) Being in Marrakesh I had visions of delicious fresh mezze, this was more a selection of canapes from a London drinks party, pretentious but annoyingly still delicious! The menu for main courses was no less eclectic than the starters. Thai noodles, Roast beef, black cod and a tagine of cod. Being in Marrakesh, I felt compelled to go for the tagine of cod with charmoula spices and a fondue of vegetables. With such an eclectic menu I could picture my tagine not exactly being up to scratch. However, this couldn’t have been further from the truth, the tagine was full of flavour the fish tasted fresh and meaty and there was definitely no skimping on the portion size. We ordered a few desserts for the table and these were accompanied by bongo drummers at our table and the DJ turning up the beats, we were eating and dancing around/on the table. Bo Zin is the epitome of fun a restaurant in a nightclub, a nightclub in a restaurant. The menu is varied and eclectic, the music is live and loud. Perfect for a celebration and big groups ready to dance the night away. The age old question, where to go for dinner in Soho? Tricky as the options are so vast and there always seems to be a new ‘go-to’ place. I have had my eye on Bi Bim Bap for a while, always busy and buzzy and with a super intriguing name. This is a Korean restaurant that specifically specialises in Bi Bim Bap. This is a favourite dish of the Koreans and what they are proud of being the ultimate healthy meal. It consists of a bed of rice (choice of white or brown) topped with various variations of vegetables, pickles, meats and some with a fried egg on top. You are also offered the choice of two sauces; miso and a chilli , both of these add a great kick. The Bi Bim Bap is served to your table in your own hot stone bowl, it is down to you to mix all the ingredients together as the hot stone simultaneously cooks away – this is where and how the flavours are maximised. If you order the beef bbb, don’t be alarmed when it arrives raw, you will cook it yourself as you mix it with the vegetable and rice in your own hot stone bowl. The concept of cooking the dish yourself may seem like a gimmick and/or too much hard work. However, this is simply a traditional, authentic Korean dish and this is how it is served and eaten. I went for a vegetarian option, the Dol Sot – Julienned cucumber (a cucumber cut into thin matchstick pieces), daikon, beansprouts, spinach, carrots, mooli and a fried egg. I personally mixed it all together with a dash of miso sauce. I happen to know that the beef option is also divine. How refreshing to try something new, a new cuisine, a new dish, a new way of eating. Perfect for a friendly catch up in Soho. A Notting Hill institution, a Mexican located on Westbourne Grove. Taqueria is often named as the best Mexican in London, for me it is a tough call between this and Mestizo (near Warren street) – depends which side of the city is easiest for you. This is a super casual restaurant, yet for me the food is on par with the super trendy La Bodega Negra. As with any Mexican it is hard not to order nachos the moment that you sit down. Taqueria’s are fresh and include a generous helping of guacamole – I find this a good marker of nachos quality. Taqueria is perfect for a small group, it really lends itself to a sharing feast! The main focus of the menu is the taco section, with much smaller entries for soups and tostados. The Taqueria tacos are not what you might expect from a taco. With a recent trip to Mexico under my belt, I can verify these tacos are the real deal. The range of fillings are served on a freshly made soft corn tortilla. My suggestions are – carne asada – grilled steak, marinated cheese, salsa roja, onion and coriander. The gringa, which is essentially marinaded pork in wonderful array of spice and melted cheese on top. With both of these the meat is tender and full of flavour. I love the added fresh onions and coriander as well as the fresh salsas of varying heat! A great Vegetarian option is the champiqueso – garlicky mushrooms rolled inside browned cheese and of course fresh onion and coriander. From the tostados, you simply have to order the pollo and frijoles refritos (chicken and re-fried beans respectively.) The actual tostados are more like what the English know as a nacho, just a little larger and more round. Be warned they are addictive! What I love about Taqueria is it is wholeheartedly, authentically Mexican, go for a feast on wonderful Westbourne Grove. As with every trip, restaurant research is key. There is nothing worse than being in an incredible destination and ending up at a sub-optimal restaurant due to lack of planning. Although sometimes by chance I agree it can all fall into place. Forte Dei Marmi, on the Tuscan riviera, which crazily immediately reminded me of Miami. With its super straight coastline and long, deep beaches and the fact everyone cycles everywhere! 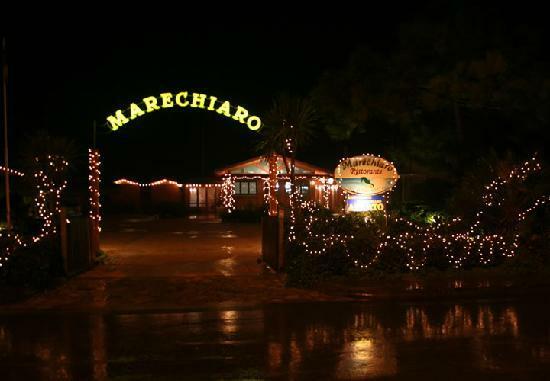 MareChiaro really is a special place, renowned for its delicious food right on the beach. Upon arriving in FDM on our girls only weekend, we soon realised the options for beach side dining are mind-blowingly endless, so I really would recommend knowing where you want to go in advance. This Italian gem is simultaneously traditional and elegant, we were led through the inside of the restaurant to the beautiful candlelit, beach terrace. On taking our seats the super chic owner informed us this was a restaurant specalising in olive oil and proceeded to hand us the olive oil menu!!!!! The menu is full of fine Italian favourites; ravioli with a Parmesan mousse, macaroni with a cheese sauce (macaroni cheese!) Spaghetti in a bread and cheese sauce – are you seeing a theme here?! As in Italy where pasta is normally fir the first course, before the main course, the portion size was lovely i.e not so large that you are left feeling wildly bloated afterwards. My favourite was zucchini flowers stuffed with ricotta in a tomato sauce and also the beef carpaccio. All of these dishes are served with a different, appropriate olive oil. This is a restaurant that takes food seriously, they are passionate about Italian food and olive oil (rightly so!) You really can taste the love and care that has gone into each plate. Mostly the menu is all dishes that you will already know, nothing wildly new but at MareChiaro these classics somehow taste a million times better than anywhere else. As for the Olive oil, I tried one of the strongest on the menu, the depth of the flavour was intense and certainly made dipping some fresh Italian bread in it more than a pleasure. I will go back to Forte Dei Marmi just for MareChiaro. At the end of last year I visited Mexico, spending time in Mexico City and Tulum. It is such an incredible country, steeped in history, tradition and food that makes you never want to leave. One of the highlights of my trip – I know how real nachos should taste! So back to the topic of nachos, I know what you may well be thinking a nacho is a nacho right? Yes but no. A typical portion of nachos in England are some super salty triangle shaped crisps or even Doritos, served with a pot of salsa, something that resembles guacamole and grated cheddar cheese. However, in Mexico the nachos are baked fresh and often served just with a fresh guacamole of avocado,lime, coriander and garlic. The freshness here is key, a lot of the time the guacamole is made for you at your table. This was the first place outside Mexico where I had tasted real nachos. The guacamole wasn’t made at our table but for a moment I was back in Mexico. Mestizo also do a version with added chicken and chorizo, always a hit with the meat obsessed gentlemen. In Mexico one of the most traditional dishes is chicken mole. Chicken in a chocolate sauce. Mestizo is the first place in the UK I have found to serve this dish, a true mark of its authenticity. After much deliberating we decided to order the acclaimed ‘Taco Tray’ which is for a minimum of 2 people. You have the choice of four different fillings as well as all the extras and condiments which come as standard. These include, avocado, sour cream, fresh coriander, a choice of salsas and chillis, cheese and black beans. The slow cooked pork was completely melt in mouth and the chicken and chorizo was a carnival of flavours. The tray is large and wholesome, the tray is fresh and delicious, you simply have to order the tray! At £14 pp it is an absolute steal. I find it hard to imagine you will be able to resist one of the 280 tequilas to wash down your tanatalising tacos. We also went for a sharing dessert, not that it was particularly needed. Crepes de Cajeta – crepes in a hot, caramel sauce served with vanilla. It was a special treat to myself for finding the best Mexican restaurant in London. This is not the prettiest restaurant in London, it is not a ‘place to be seen’ (although David Guetta, Sienna miller and Robert Pattinson are all fans. This is one of London’s secrets that shouldn’t be a secret but you are glad that it is! Hands down the most authentic Mexican restaurant in London and I defy you to find better, friendlier service at any other restaurant. When you have that Mexican craving, run to Mestizo, you will arrive there quicker and have an optimal appetite. It is perfect for everyday and also a great for a celebration, they will make a fuss of you with sombreros and tequilas GALORE! It is not often that I head SOTR -(South of the River) to Clapham/Battersea, however, I had been promised ‘one of the best lunches in London.’ How could I refuse? Soif, is somewhere that had not been on my radar, on arrival I realised it is from the same owners as the critically acclaimed restaurants; Terroirs, Brawn and Green Man & French Horn. From a quick glance at the menu I learnt that Soif was french and fine French at that. A simple menu that included all the French classics; moules frites, bavette accompanied with chips and cafe de Paris butter as well as grilled fish like only the French know how. I was strongly advised to go for the lunchtime chef’s special deal, the special changes daily and comes with a glass of wine of your choice and is followed by a coffee for the very reasonable price of £10. The special for us was fried sardines with tomatoes on grilled sourdough. A dish that had the potential to be very standard – nice but just nice! Not, however in the case of Soif. This very simple dish of effectively bread, fish and tomatoes simply blew me away. The sardines were meaty and delicious, covered in perfectly ripe, juicy tomatoes and topped with the most delicious, flavoursome dressing. Which I am guessing was made with the most simple of ingredients; olive oil, lemon and garlic. This dish proves that simple really can be best, especially when the raw ingredients are of high quality and uber fresh! The prefect addition to this dish was a glass of light white wine. Apres, I substituted the coffee for a fresh mint tea. Honestly a truly perfect light lunch for a crazy light price, but still premium quality french food. I really wasn’t expecting to find such a gem, it just shows, venturing slightly further than you usually would can pay off. If Soif is on your doorstep you are too lucky! Perfect for a working lunch or laid back catch up with friends. J’adore. Nouveau Greek? Sharing Greek? Well Greek is always a sharing food. 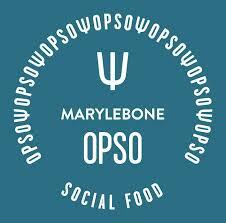 I would say Opso is modern Greek, they describe themselves as Social Food. It is located in Marylebone where everyone and everything seems to be going down right now. This is a Greek restaurant but not the traditional taverna type, Opso has a modern air about it, with plenty of culinary twists and turns. The head chef has come from Princi bakery in Soho, thus all the breads and pastries are freshly baked onsite, such a treat! With this on-site bakery in mind, I imagine brunch would slip down all too well here. However I booked for supper for my Muma’s birthday treat. Our table looked something like this – A Greek coleslaw, packed full of cabbage,carrot, iceberg lettuce, spring onions, quinoa and dill. On reflection, i’m not sure what makes it Greek, maybe the zesty yogurt dressing, however it was delicious. Next up, feta cheese, which had been barrel matured, it was creamy and strong in flavour, totally Greek and served with excellent sourdough bread. The next treat was Grouper tartar, this was one of my favourites, super fresh fish served with a zesty, light oil dressing. Then onto the Fish burger in a squid ink bun with tomato jam and chips. I was slightly apprehensive that this would arrive with battered fish, no need, it was completely fresh and the squid ink bun gave an interesting salty flavour. There were two miniature burgers and I kind of wished they were a little bigger, good things come in small packages! Lastly, ‘pastitsio’ – a Greek pasta known as hylopites (traditional square noodle) served with slow cooked beef and a bechamel sauce. As you would expect the beef was tender and the sauce was rich and creamy, not a dish I was expecting from a Greek restaurant but delicious nevertheless. So there you have it a modern Greek restaurant playing off traditional Greek delicacies. A great something new to try, when you are bored of the usual haunts, this will give you the food sense of adventure you are after. Crazy I know but the breads were really a highlight for me, so trying brunch is a must. Social food for social people. Enjoy! So what is Kurobuta? Is a good question. Japanese for sure, but not in the traditional sense. Fusion, kind of but also not really. For me this is creative Japanese, or even modern Japanese, taking what we know and love a step further. Kurobuta started as a pop up on the Kings Road, except it hasn’t popped down and demand was so high a second Kurobuta has found its home in Connaught village (moments from Edgware Road and Hyde Park.) 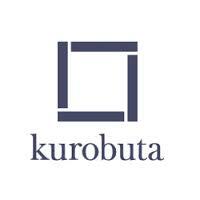 Kurobuta is owned by Scott Hallsworth ex King of the Nobu kitchen. When glancing at the menu you may recognise some of the food from Nobu, however this place has a way more relaxed vibe than Nobu and in my opinion a far more creative menu. The vibe is small plates/sharing/tapas/meze however you like to refer to it. The menu is split into different sections – snacks, cold/raw, robata BBQ, Junkfood Japan, something crunchy, significant others, maki and sushi. At first the sheer number of sections can be daunting, take your time and make sure you absorb every last dish. A few of my highlights – rice crisps with avocado and jalapeno dip, a good solid snack! With what else was coming up I wanted my grains and greens quota, which came perfectly in a salad from the raw section, with added naughtiness from the honey/soy dressing. From the BBQ section, pork belly in steamed buns with spicy peanut soy sauce, these were honestly too good, I have dreamt about them multiple times since, yes the meat was tender, yes the buns were the right amount of dough -i-ness but it is the concoction of flavours that really sets these alight. The peanut soy sauce is a pure addiction, I ended up adding it with every dish on the menu, it was sickly salty. Junk Food Japan, what a cool section, although a tough one to make decisions in. I was tempted by the wagyu beef sliders in a brioche bun, but decided it wasn’t out there enough, so went with the tuna sashimi pizza, yes you did hear right! So the base was what I would describe as a taco or a proper Mexican nacho, topped with strips of tuna sashimi along with truffle ponzu, red onions and green chilies. You only live once! Nasu Dengaku was my choice from the ‘significant other’ category – sticky miso grilled aubergine with candied walnuts. When this dish arrived I mistook the chunks of aubergine for chicken, I guess I am too used to having aubergine in slices. The aubergine was cooked to perfection, super tender, it kind of melted in my mouth and the sauce again was completely addictive, as in so good that I wanted to lick the plate. Wow, what a roller-coaster of intense flavours and textures and still more to come. The finale – Jelly doughnut pistachio parfait, excuse me?! This was made up of pistachio parfait, limoncello jelly, matcha meringue, hazelnut and chocolate mini doughnuts. It may sound like too much, too many moving parts, but this dessert fitted together like a dream, the contrasting flavours married together in sweet harmony, a true delight. Kurobuta is so hot it hurts, the food and the vibe, there is something different about this place. You can make this restaurant what you want it to be, a special occasion, date night, group mayhem or a casual pop in. Kurobuta will seemingly adapt to your needs. I can’t stay away, so any occasion is an excuse to book this place, hurry, make a reservation.